8 Limbs is honored to host Aadil Palkhivala, Senior Iyengar Teacher & co-founder of Purna Yoga®, for a weekend of philosophy and asana. With degrees in law, physics and mathematics, Aadil is one of the world’s top yoga teachers and, for over 40 years, has had the reputation as the “teacher of teachers.” He began his studies with B.K.S. Iyengar at the age of 7 and was the youngest person to be awarded the Advanced Yoga Teacher’s Certificate from Iyengar at the age of 22. Aadil will speak about the eight limbs of yoga, and offer three asana practices. Help us welcome Aadil to 8 Limbs! The Limbs of yoga prescribe a system, developed and tested through millenia — for the discovery and emergence of our true selves. They begin with ethical precepts (yama and niyama, then build on the awakening of the body (asana) and breath (pranayama). By practicing asana with awareness, as we free the body, we progressively master and free the mind as well. This process of reclaiming our inner selves continues in the more advanced limbs of Yoga: pratyahara (sense-withdrawal), dharana (concentration), dhyana (meditation), and ultimately, samadhi (communion with the Self). 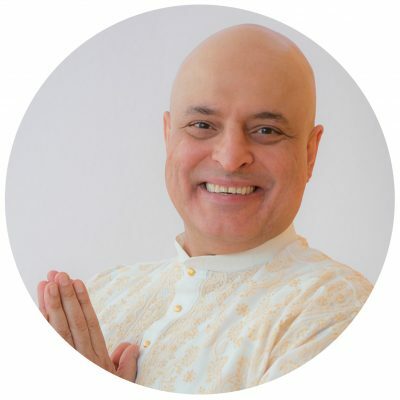 In this lecture, Aadil will address necessary tools for expanding and deepening your practice into the true fullness of Yoga. This lecture is open to all levels. The beauty of the Purna Yoga Power Series is the smooth, flowing movements coordinated with the breath with a thoughtfully arranged set of poses designed to cultivate external strength and internal power. The Series will require intense focus and a willingness to grow and change. The Series will help remove blockages both internally and externally. Prepare to work deeply and rest deeply afterwards. It is no surprise that the American Medical Association recognizes yoga as a resolution for Carpal Tunnel Syndrome. In this class you will learn the underlying causes of arm and wrist pain, starting from the spine all the way to the fingertips. Discover sequences for opening the shoulders, elbows, and wrists, as well as Aadil’s unique methodology for strengthening these three joints. Done correctly, twists cultivate shaktiand channel the upward flow of energy. In Purna Yoga, twists are used to release emotional blockages in the body and free tension in the intervertebral muscles along the spine. Twists help liberate the body so that the energy that is dormant in the pelvis can rise to the heart. Aadil will teach how to twist from the root upward, from simple twists to deep ones. Then with all your emotions cleansed you will do a deep and powerful Shavasana based on the five senses. Location: CAPITOL HILL and The Summit, 420 E Pike St.